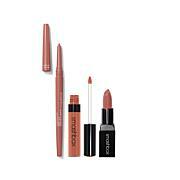 Trio of creamy lipstick, full coverage liquid lip and self-sharpening liner designed to help you create your most gorgeous lips yet. 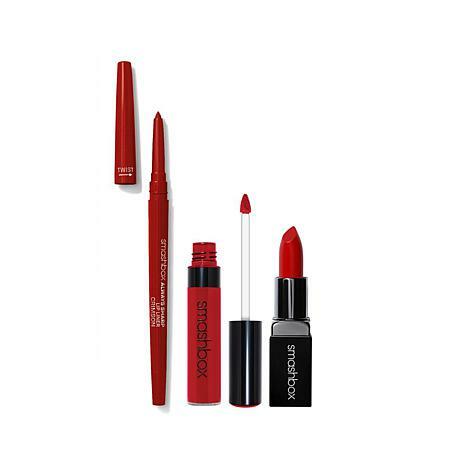 - Line lips with a darker shade, and then fill the center of your lips in with your favorite shade of Always On Matte Liquid Lipstick, Be Legendary Liquid Lip or Be Legendary Lipstick (sold separately). - Blend out with a lip brush. Rich, creamy, saturated, bold, long lasting. Yup, I liked them. This product dried up my lips causing them to wrinkle up. Sorrowfully I have wrapped to return. So sorry it did not work for me. 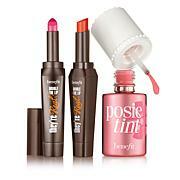 I do not like to return cosmetics and normally will not even if I do not care for the product. However, for me, this product was so dry that it did not glide on smoothly or evenly. Returned.